Not all dads are created equal. Some dads have more responsibilities than any other dads just like a single dad. single dads who have their children with them need to do dual parenting skills. Without a partner’s help, duties and responsibilities may become harder than the usual. Taking care of the children while making the ends meet may be a tough job indeed, single dads who do not have their children living with them on a full time basis also have responsibilities to fulfill and it may also be tough too since they can’t enjoy the company of their kids whenever they want to. Since a single dad is a different case than the other dads out there, what do you think would be the perfect gift for them? A single Father is still a dad and you have to consider his likes, interests, tastes, wants and needs before you pick out something for him. To help you out, we have gathered the top picks for a single dad. Check out our gift suggestions below as you please. He maybe a single dad but he is trying really hard to be a good parent. Make dad feel that he is enough on Father’s Day. 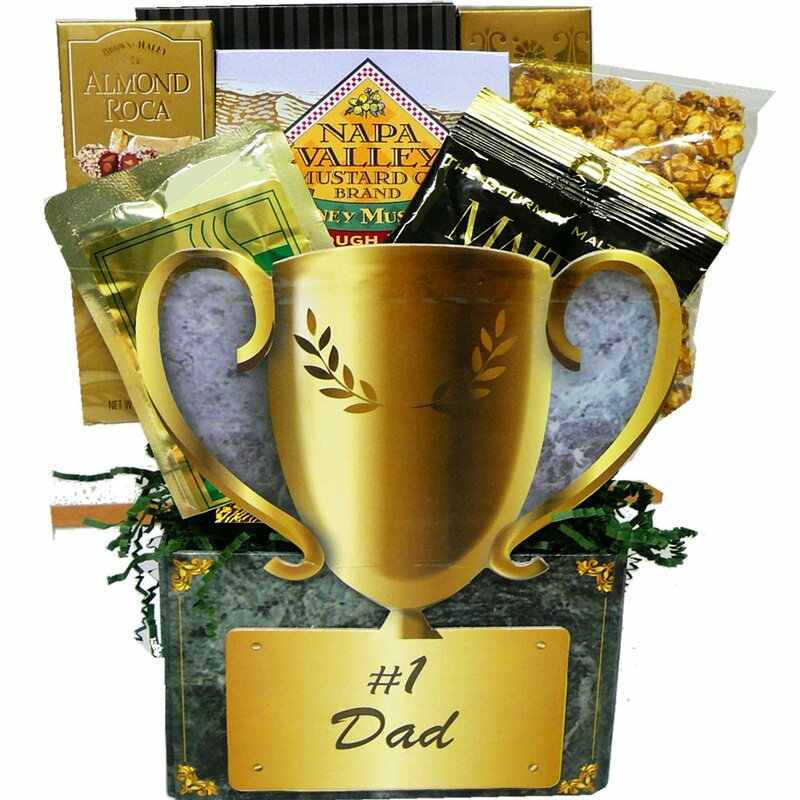 Give him this #1 dad Trophy Gift Box to tell him that for you he is the number one. This gift box is filled with scrumptious snacks, coffee and great treats that he could enjoy on Father’s Day. It comes with a box shaped trophy with a #1 dad on it. Each gift basket comes with a wrapped and tied with a bow which makes it ready to be given on Father’s Day. Looking after himself may be his last priority on the list since he has a lot of tasks at hand being a single dad. On give dad a gift that he could use to take care of himself this time. He is always thinking about you and your siblings, so now it’s your turn to give back. 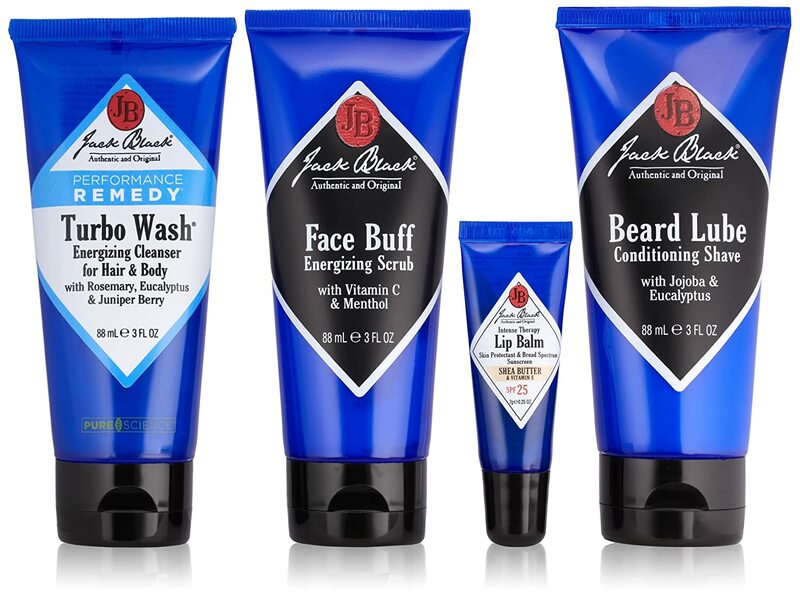 This gift set contains grooming materials that will make dad’s skin softer and healthier. It also has a pleasant scent that dad will surely love. Dad’s greatest treasures are his kids. Although he is a single dad, he makes sure that everyone is taken care of equally. On Father’s Day, show dad how much you love him through this unique Photo Collage. These frames hold fond memories of the family captured in still photos. With a cut out of I/We Heart daddy makes this photo collage a very special gift for him. Shout out to the world how much you love dad on Father’s Day. A single dad takes two responsibilities at the same time. You may call him Mr. Mom as you like. Give dad a standing ovation and a lot of appreciation with this cool and one of a kind shirt. Dad is your best Mr. Mom ever, so make him see his worth. 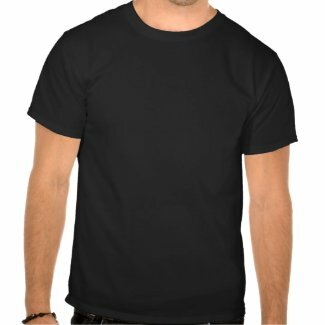 This shirt is very comfortable because it is made from 100% cotton. It comes with various colors to choose from so make sure to pick dad’s favorite. single dads are Super dads. Let him put his cape on Father’s Day and make him proud. He may be a single dad but he will not be afraid to do tasks, such as taking care of his children or even cooking. This cookbook is written by a single dad himself. 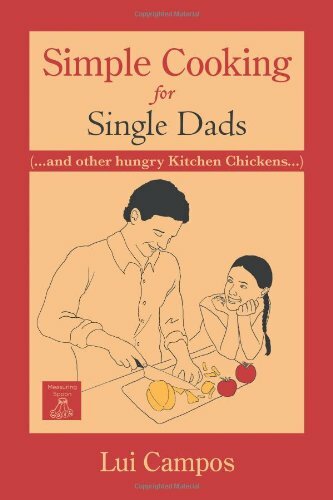 This is a great gift idea for the single dad who wants to learn how to cook simple dishes one step at a time. The kitchen may be dominated by the female species but when a home lacks one the single dad takes over. dad is a sports enthusiast, he loves football so much. He never misses out a game especially if his team is on. He also loves barbecue on football nights. He prepares, marinates and grills the barbecue himself. On Father’s Day, why not combine two of dad’s favorite things in life through this one of a kind tool set. The Football Tool Set is a one of a kind set of tools uniquely shaped into football memoirs to remind dad of his favorite sport. 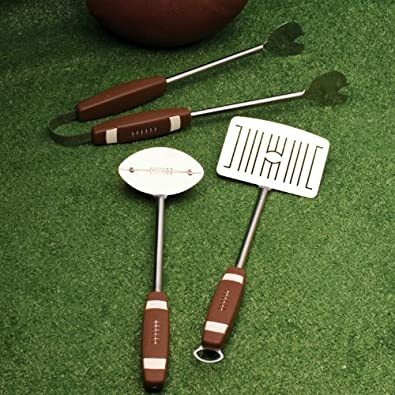 Barbecue nights would be even better especially when dad’s favorite football team is on and as he grill his famous barbecue using this handsome Football Tool Set. He is always looking for the remote, his phone, wallet, pen etc. dad may sometimes be forgetful because as we know being a single dad is not an easy job. He has a lot of things going on his head so he might be disorganized sometimes. On Father’s Day, why not give dad something that would help him organize his stuff with. Gift dad a Revolving Wood Organizer that he could use as storage for all his valuables. This is a sleek way to keep his stuff organized and be easily seen. Now, he will not look all over the place to look for something, in just one place he will see everything that he is looking for. You can personalize this organizer with a two line message for up to 12 characters per line. It is made from rich rosewood finish and measures 9 inches in height by 7 and ¾ inches wide. Because it is revolving, dad can easily swivel it accordingly to reach his remote while he watches his favorite show. Our single dad is always too busy with work and even at home since he is doing dual parental roles, having fun is none of his priorities so far. On Father’s Day, gift dad something that could relieve his stress and would let him have fun even just for a while. The Stock Card Ride Along experience is a thrilling adventure that dad could enjoy. He could feel the experience of being in a fast car as he rides along. Real cars, real track and real fast! Three laps of racing with a total of approximately thirty to sixty minutes of fast phased ride would be one of dad’s memorable and fun activities that he could cherish forever. Being a parent takes a lot of hard work and dedication. As a single parent, the duties and responsibilities double up. A single dad may not be too common but they are considered to be the very own superheroes of their off springs. single dads deserve some credits too, so on Father’s Day give them the pat on the shoulder, the warm and tight hug and the gift you can give to show them how much you appreciate everything that they have done.